Sixteen-year-old Angela went missing, without explanation, never to be heard from again. Fifteen years later, her body was found in the woods behind her best friend’s—Geo’s— house. She was the first victim of serial killer Calvin James, Geo’s boyfriend. Geo kept the secret, until the body was discovered, and she was arrested for the crime. She testified against Calvin and served five years in prison, while Calvin escaped shortly after his conviction and disappeared. When Geo is released from prison, a new string of murders begins, mimicking the death of Angela. Geo learns that some secrets can’t be kept buried, and her crimes continue to haunt her. What an amazing surprise this book was. 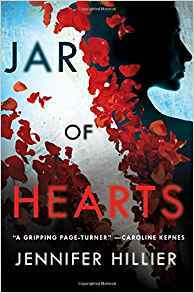 Jar of Hearts is my first book by Jennifer Hillier, and from the jacket description I was somewhat ambivalent about it. But the first chapter had me hooked, and it only got better from there. I particularly liked that the story jumped from past to present, allowing for fragmented revelation of information so readers could eventually piece together what happened. Geo was a frustrating but likable character, largely because of her self-awareness. 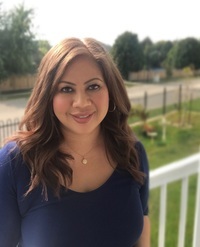 The guilt over her bad choices that led to and followed the death of her best friend, was always present despite the outward appearance that she was living her best life. Angela, Geo, and their third wheel and friend-zoned Kaiser Brody--who grows up to be the cop who arrests Geo and Calvin--are all well-developed, believable, and relatable characters. Among many great books this year, Jar of Hearts is a surprise favorite. A perfect blend of mystery, thriller, and good characters. Hillier, Jennifer. Jar of Hearts, Minotaur Books, June 12, 2018. A copy of Jar of Hearts was provided by the publisher via NetGalley.com. No compensation was received for this review.